Celebrate Earth Day with Justin's! With April hosting World Health and Earth Day, I am going to feature companies that value our health and our earth! Today, I am going to feature one of my favorite sensible snacks and sweets: Justin's! 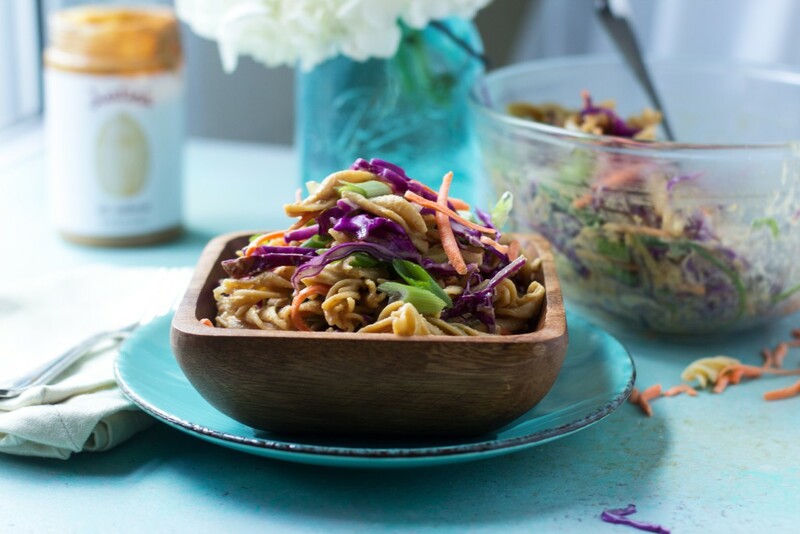 Justin’s offers sensible snacks and recipes for a wholesome diet, without excess calories, sugar, sodium or fat. Justin’s values not only sustainable practices, but also integrity and transparency at every step of the way. By sourcing the highest-quality, local ingredients, simplifying the supply chain, and initiating environmentally friendly office practices, they strive to mitigate their environmental impact. In addition to taking care of the earth, Justin’s emphasizes taking care of the community. They pay-it-forward through their hunger relief efforts with Conscious Alliance and the entrepreneurial global poverty relief efforts with Whole Planet Foundation. 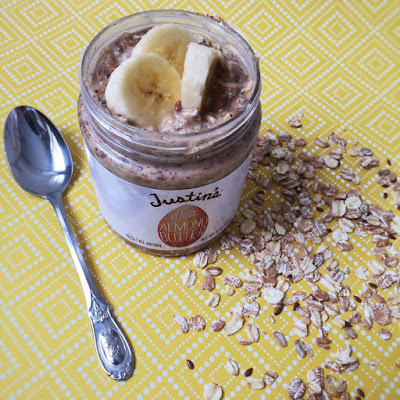 From breakfast and lunch to snacks and desserts, Justin’s provides a variety of seven better-for-you nut butter spreads, perfect for incorporating into daily eating habits. We love the Classic Almond Butter and Honey Almond Butter in our house! Combine all ingredients in an empty Justin's jar or other airtight container. Allow oats to soak in the refrigerator at least 2 hours, or overnight. In the morning, give everything a good stir and enjoy! Check out how to end your day on a tasty note as well with a Thai Peanut Pasta Salad. And for snack (and sweets time! ), Justin’s Squeeze packs and Peanut Butter Cups are a must! They are portion controlled, packed with protein and pair excellent with nutrient-dense foods like fruits! These Dark Chocolate PB Cups are a must in my house at all times - they are definitely my go-to treat at the end of a long day! 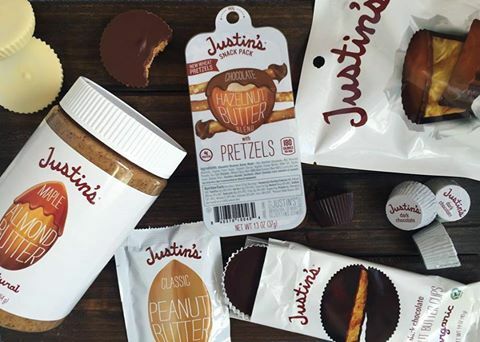 So have a tasty and healthy Earth Day this year as you enjoy tasty Justin's products!